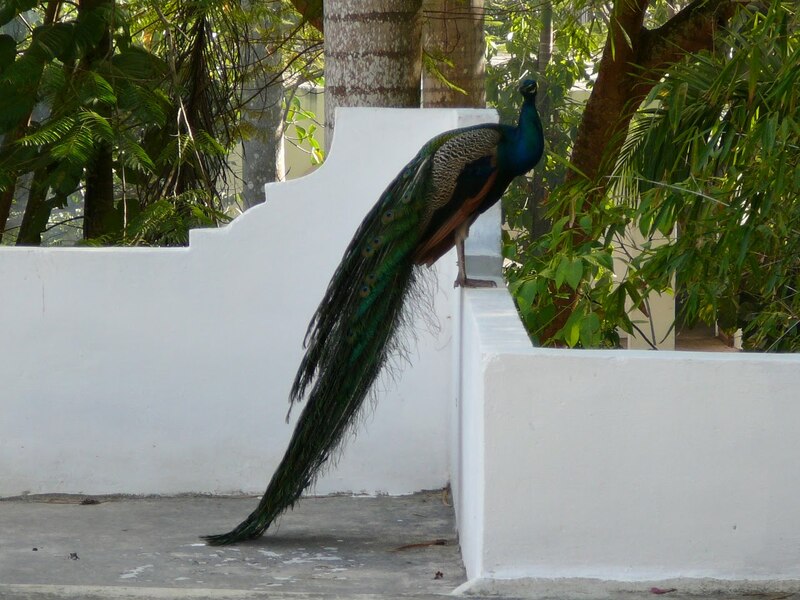 We awake early to the really loud and weird mewing sound of peacocks. There are many in the grounds of the hotel and we had enjoyed watching them yesterday, but listening to them at 6 in the morning is something else entirely. But we are up in plenty of time to be the first people through the gates of Chichen Itza at 8am. This morning it is quite magical as there are just a handful of other tourists. 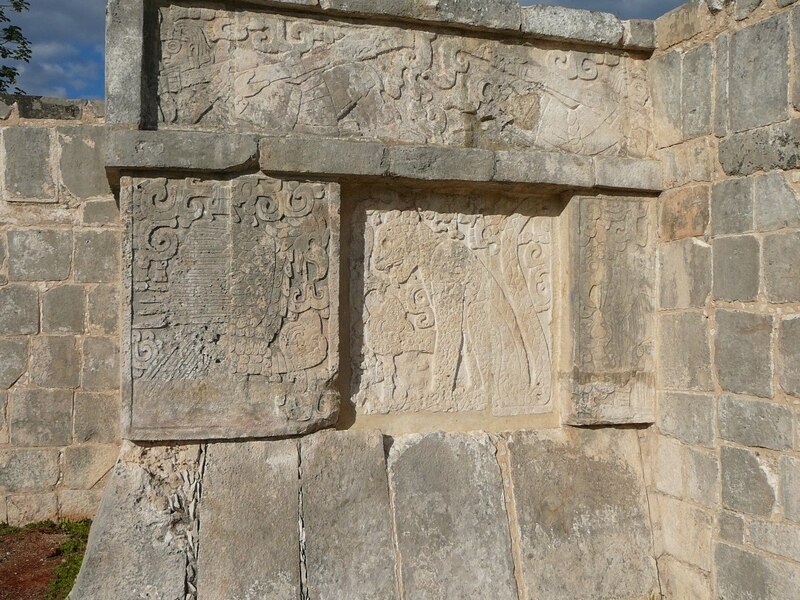 We can examine the carvings and stone work, and take photos without fear of interruption. The only thing that spoils the site is the flotilla of souvenir sellers who line every path with temporary stalls set up with saw horses and old pieces of plywood covered with their tacky trinkets. Others string their T shirts from ropes slung between the trees. 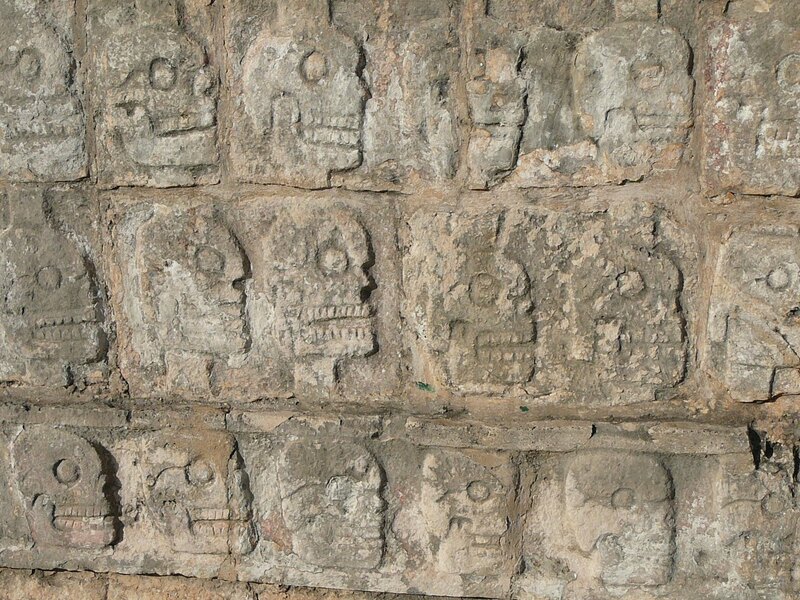 The government long ago announced that the Maya people were to have free and uninterrupted access to Chichen Itza. This was a decision made with only the best intentions, but it has become sadly abused as every morning an army of peddlers, all claiming to be Mayan Indians, make their way into the grounds and set up their stalls. In an effort to stop this, the government built a large number of permanent stalls outside the main entrance and offered them to the Mayan vendors. But the vendors shunned them preferring to be nearer the ruins. Choosing to be inside the ruins with no permanent stall makes for a much harder way of life. Every morning all their wares together with the tables etc have to be carried into Chichen Itza , unpacked and set up. Every evening it all has to be dismantled, packed up and carried away. The more conscientious vendors can be seen struggling with their loads piled high on handcarts, wheeling them in from up to a mile away. But the lazier vendors have found a solution to all this carrying. They merely take everything and hide it in the jungle just feet away from the paths where they set up shop. As we walk through Chichen Itza at eight in the morning the jungle is alive with Mayans dragging their wares out of the trees, and the undergrowth is littered with plastic cloths and sheets of plywood. It is a depressing sight that truly takes away from the majestic ruins. 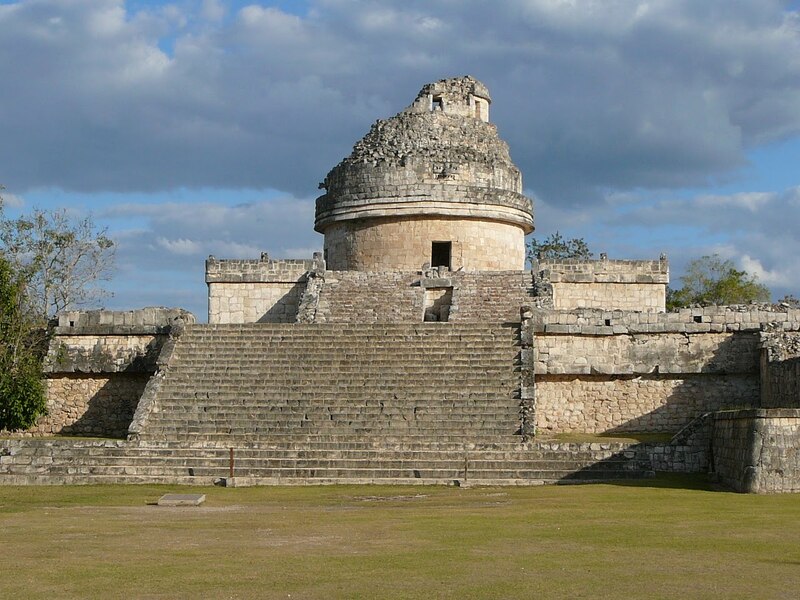 But as long as the Mayans are allowed free access to Chichen Itza there is nothing that can be done. The brochures all urge the tourists not to buy from these vendors, but it obviously has little effect. This entry was posted in Chichen Itza., Vendors. Bookmark the permalink.